A cloaked figure drags road spikes across a dark highway, causing a mother to crash. When she regains consciousness, her young daughter is gone from the seat beside her. As the mother searches the adjoining woods, she comes to an abandoned house containing evidence of a mysterious tragedy that struck the family that lived there, and details about a strange fog that crept out of a nearby military base. What macabre threads tie these seemingly unrelated events into a single, terrifying story? 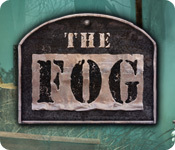 To find out, play The Fog, a captivating hidden object game with more than a few surprises lurking along its misty paths. As you search the corridors of an empty hospital and the decayed remnants of a demolished military base, you'll search for useful items, solve cleverly designed puzzles, and play mini-games unlike any you have encountered. When fear threatens to overcome you, and you want to turn back, remember: the answer to the mystery lies within the haze.